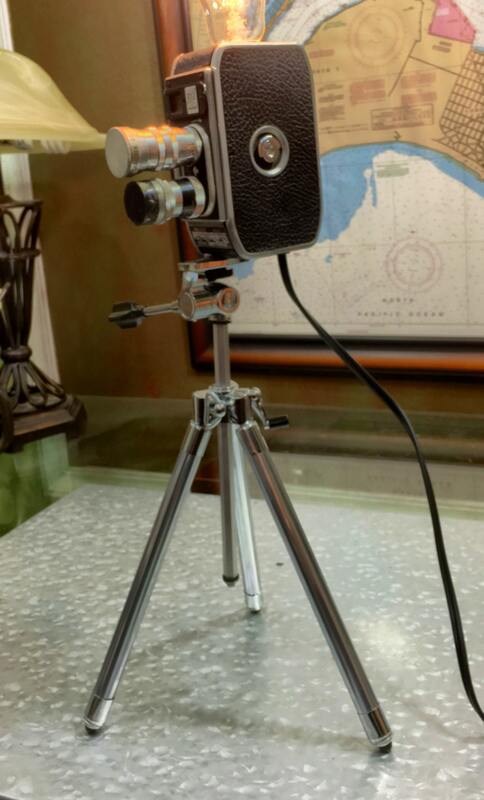 Back in the day...just after WWII the art/art world was obsessed with Bolex movie camers. Made in Switzerland these cameras boasted the finest mechanisms and lenses. 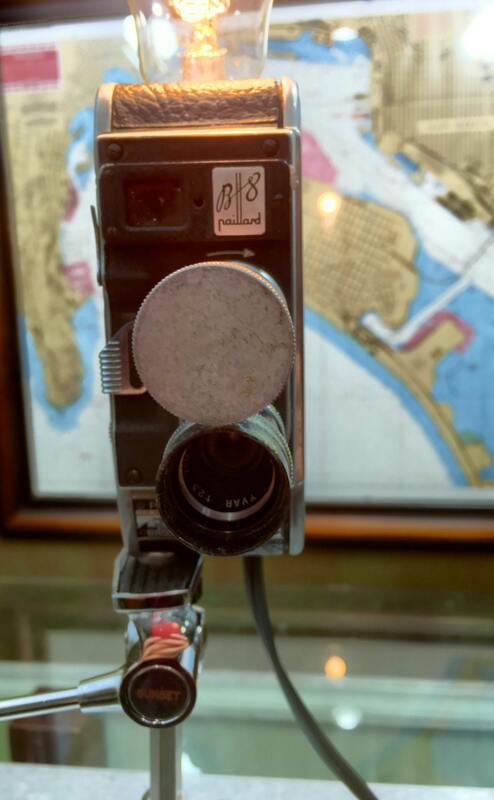 This is the camera which Andy Warhol loved. 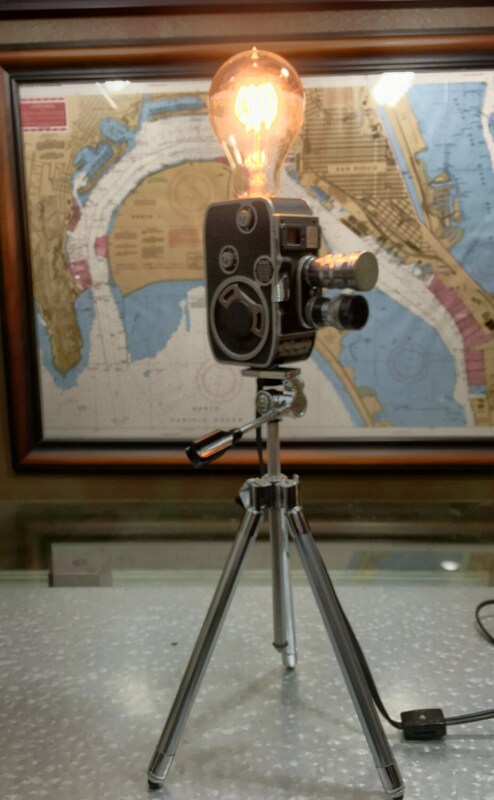 If you have seen pics of him making his crazy black and white movie shorts this was the camera he was using. 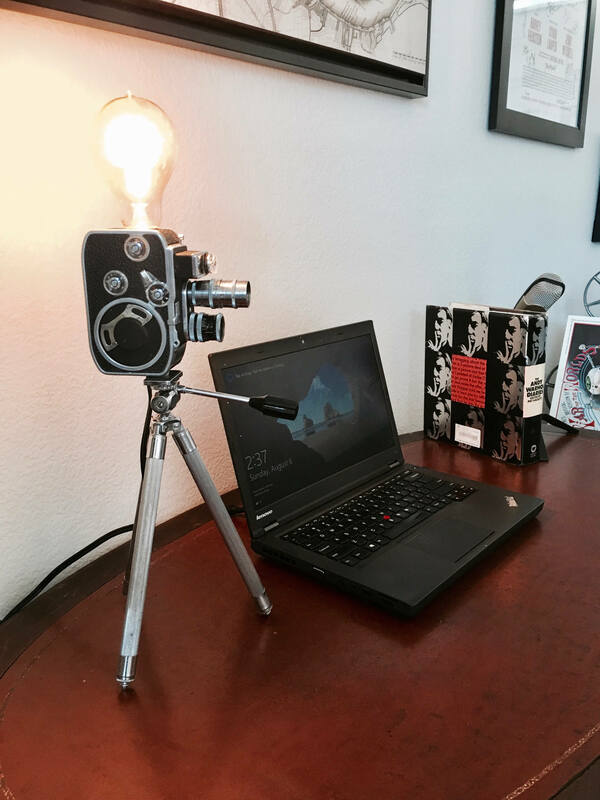 It has dual lenses and is paired with a period chrome tripod, The tripod extends to full height so this lamp can feature as a floor lamp as well as a desk or accent lamp. 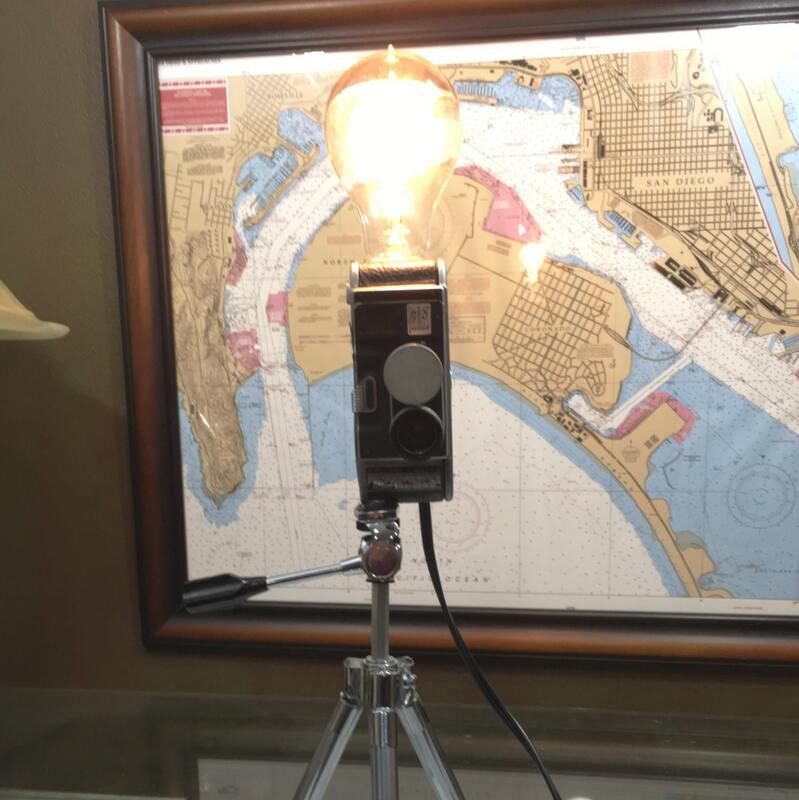 I pair it with a vintage edison style bulb. If you have a movie fan in your life, or that person who has everything this is the gift for them.